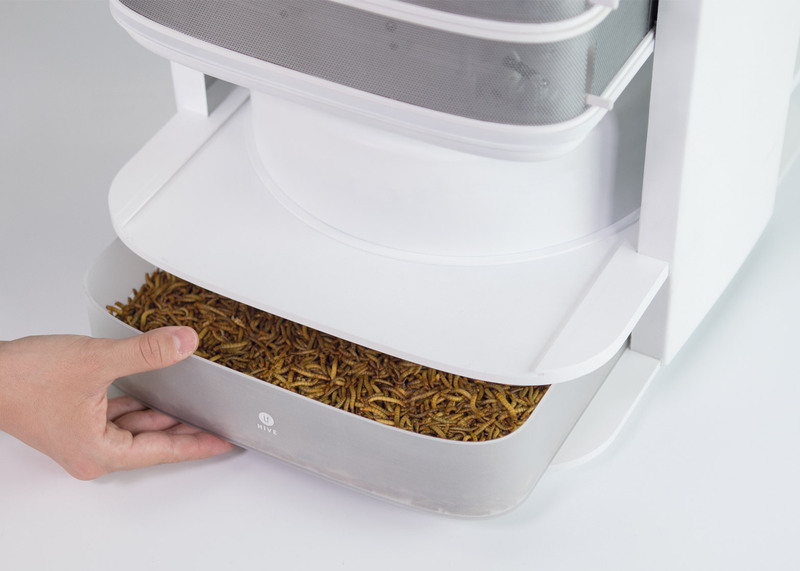 The "world's first edible insect desktop hive" will allow owners to cultivate and harvest mealworms in their kitchens for use in a variety of recipes. 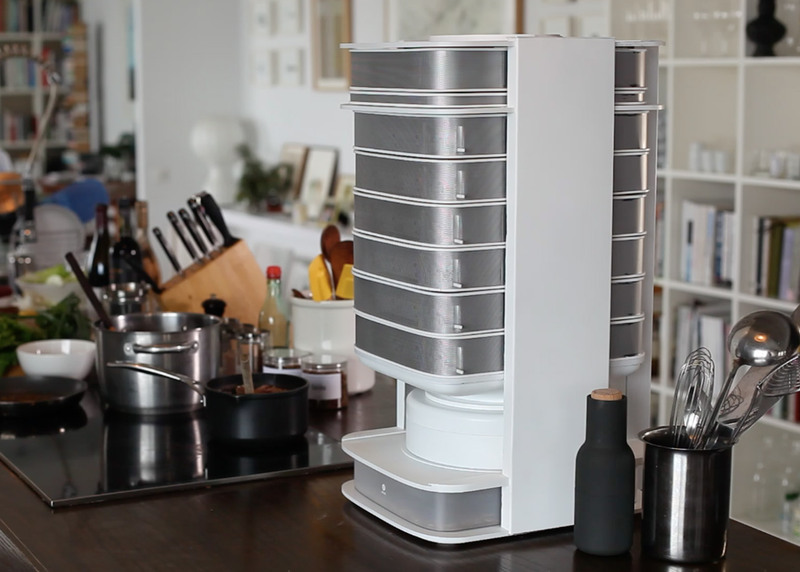 Launching on crowdfunding platform Kickstarter this week, the 61-centimetre-tall Livin farm is designed to fit onto a desktop or kitchen surface. 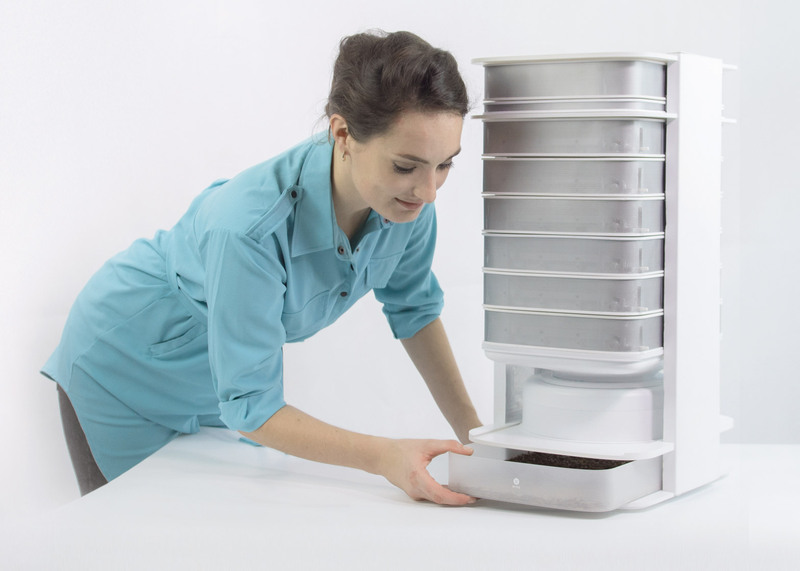 Austrian designer Katharina Unger hopes it will provide a domestic alternative to mass meat production. 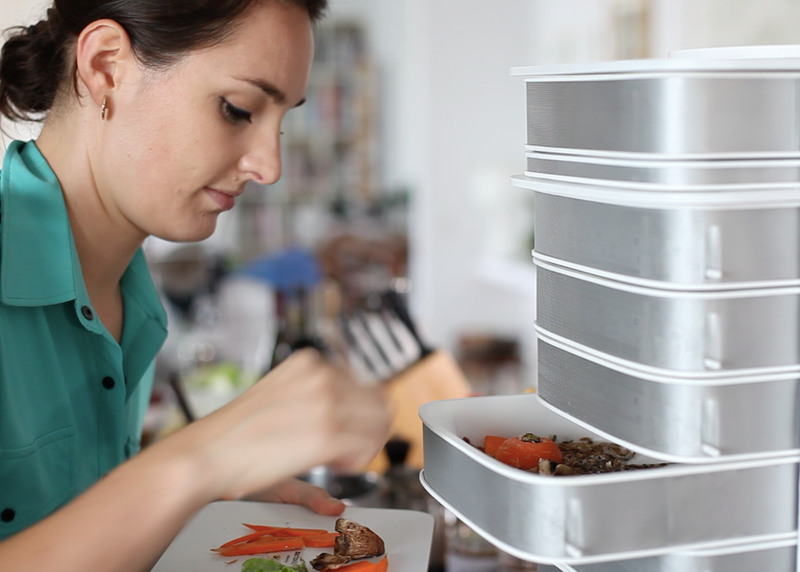 "I was dreaming that I could impact how people look at producing, processing and eating their food," Unger told Dezeen, explaining that she spent time as an edible insect design consultant before launching Livin farms with co-founder Julia Kaisinger. The Hive's eight sliding drawers house the insects at different stages of growth – from eggs to pupae and into beetles. Pupae are added to the top drawer, where they hatch into beetles that mate and lay eggs. These then fall through the perforated floor onto lower levels where they develop into worms. The hive has a controlled micro climate, which keeps the farm at a consistent temperature, and the insects can be fed on oats or vegetable scraps from the kitchen. A fan, filters and a ventilation system help stop smells from escaping and the mealworms are moved down each level in the farm as they develop. Once raised, they can be harvested by pressing a button on the side of the hive which uses vibration to separate the edible insects from pupae and waste – a process that would usually be done by hand. They are then funnelled into the bottom drawer and chilled to stop development. At this point the animals can be frozen, before being boiled, heated, or ground up and mixed into recipes. 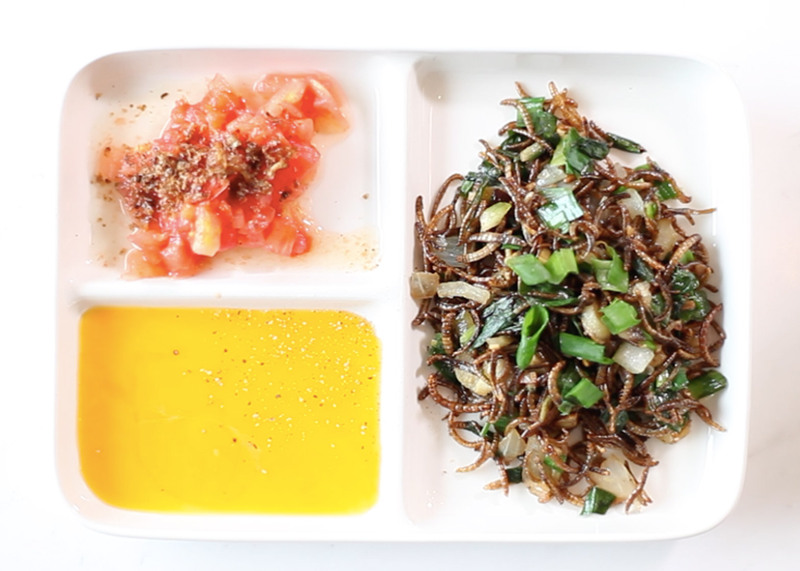 Each harvest is expected to generate between 200 and 500 grams of edible insects. According to Unger, the protein from each harvest would be equivalent to that found in the same amount of meat, with significantly less space, water and energy required for their production. The worms also produce very little CO2 compared to cattle. Unger started researching home insect farms while studying the impact of factory farming and industrial meat production. After uncovering insects as a possible alternative, she designed the Farm 432 concept – a similar tabletop system that would allow users to breed black soldier fly larvae. A team of Icelandic designers has already launched chocolate protein bars made from powdered crickets as an alternative protein source, and a Fly Factory that breeds insect larvae to be turned into pate and desserts. "Food culture is all about cultural asoociations," Unger said, citing potatoes, sushi and lobster as other foods that have overcome their prejudices through clever "rebranding". 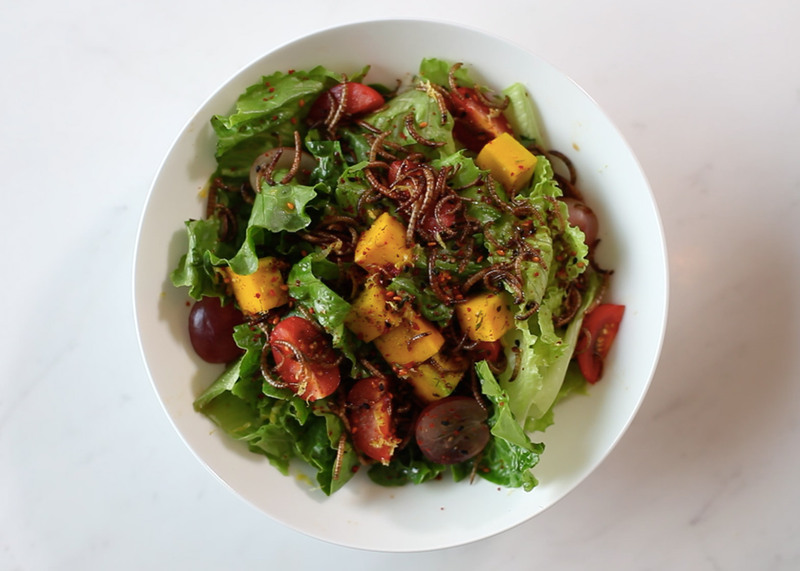 "Our ambition at Livin Farms is to develop tools and technologies that make people comfortable with novel foods, to build a relationship with it," said Unger, who works alongside entomologist Kayla Vance and mechatronics engineer Mike Vance. 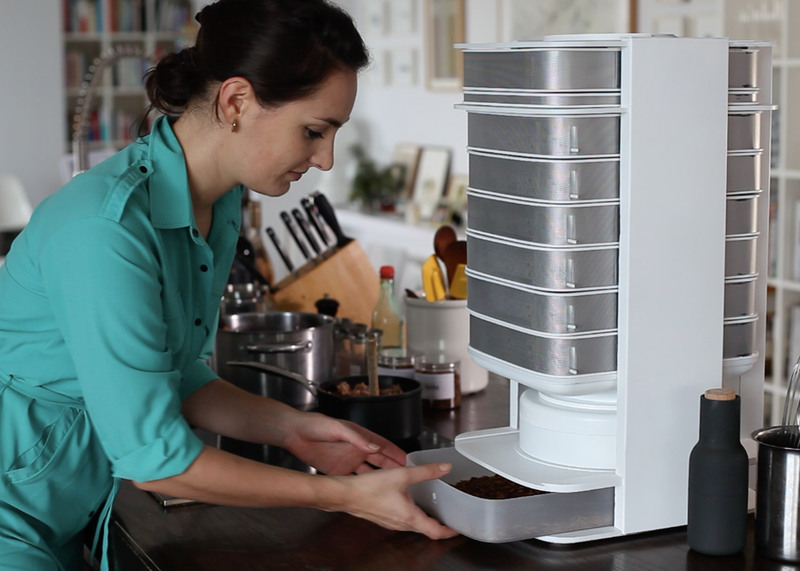 "Once they see the device and how hygienic, functional and easy it is to rear insects as delicious and healthy food, they start thinking about it in a different way." "Growing your own means knowing exactly what you eat," she added. 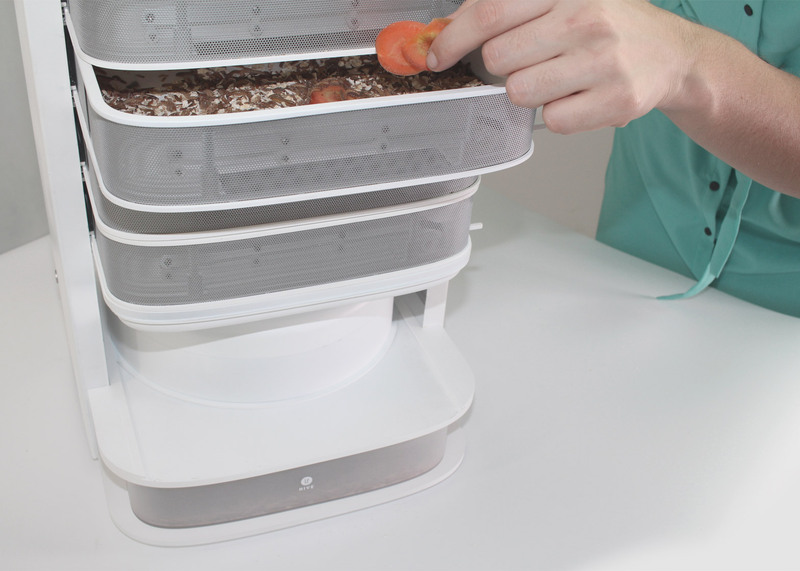 "Our edible insect desktop hive empowers you to become independent from any larger system and grow your own healthy and sustainable food." "Insects give us the opportunity to grow on small spaces, with little resources," she added. "A pig cannot easily be grown on your balcony, insects can." Unger is currently seeking $100,000 (£66,000) of funding for the hive on Kickstarter, and at the time of writing had already raised $12,000 (£8,000). If the fundraising is successful, she will also launch a recipe platform for owners to share tips on using the mealworms as ingredients.